Recently I watched the movie “A plastic ocean” described by Sir David Attenborough as “one of the most important films of our time”. 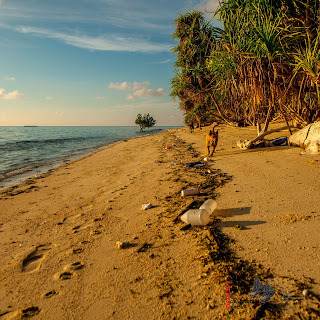 It features devastating and far reaching consequences of our addiction to plastic and the steps that must be taken to save our oceans, our planet and ourselves. 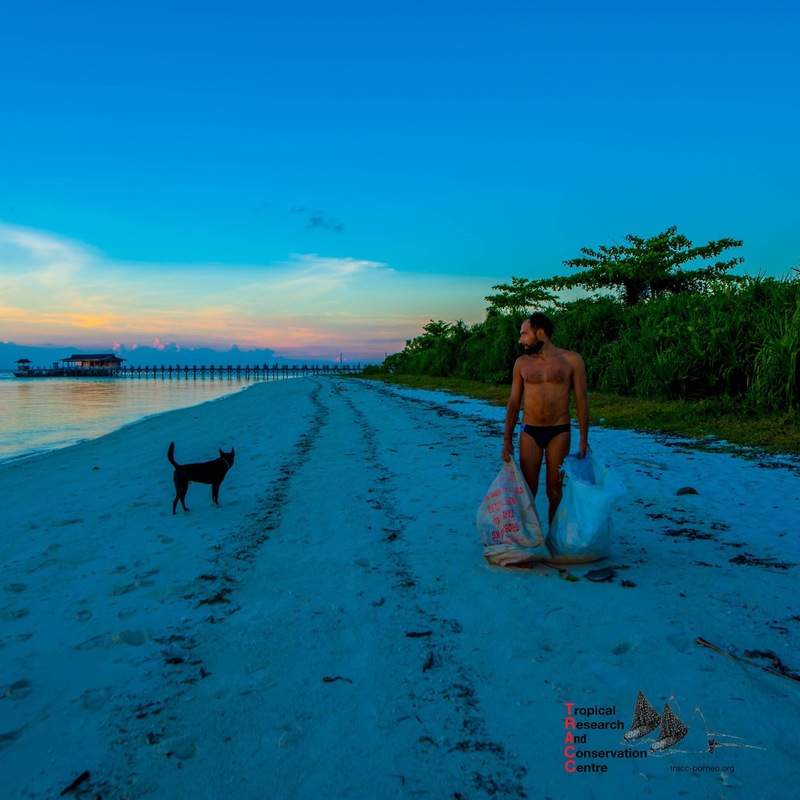 The film’s message raises the awareness of plastic pollution and the existing solutions. Today, more than 8 million tons of plastic pollution enters our oceans every year and plastic production is about 300 million tons a year. About every 11 years the amount of plastic produced doubles. Over the last decade we have produced more plastic than during the whole of the last century. In 2050 there could be more plastic than fish in the ocean. These are staggering facts. Plastic has become so popular because it is cheap, durable and can be used for a very wide variety of products. Unfortunately we have developed a “disposable” lifestyle and half the plastic produced is used just once and thrown away. This has become a major environmental issue. 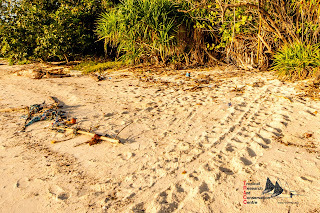 A turtle track through marine debris. The impact on marine animals is two ways. Entanglement in discarded fishing line, nets, plastic bags, balloons etc. is the biggest issue. The second issue is the impact of eating plastic. About 90% of seabirds eat plastic. When the stomach fills up with plastic they die of malnutrition or blockage/perforation of the gut. 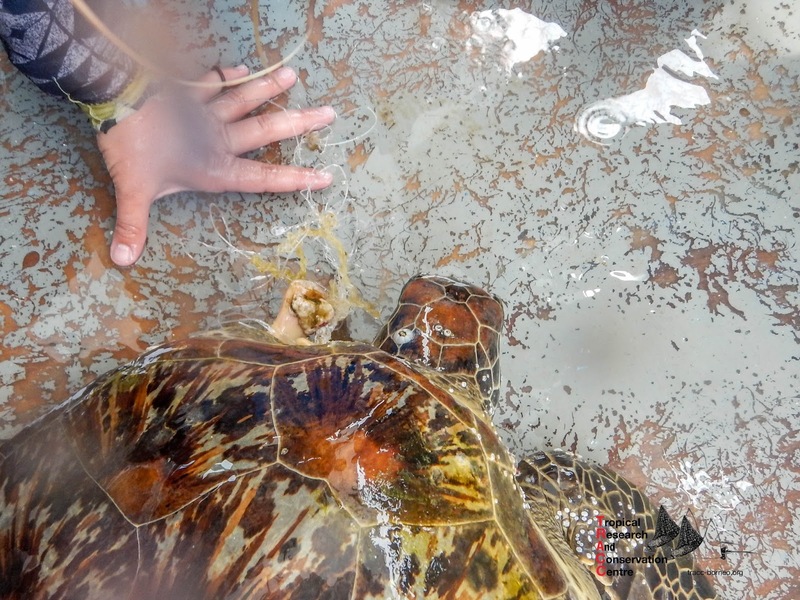 Sea turtles mistake plastic bags for their natural prey of jelly fish. 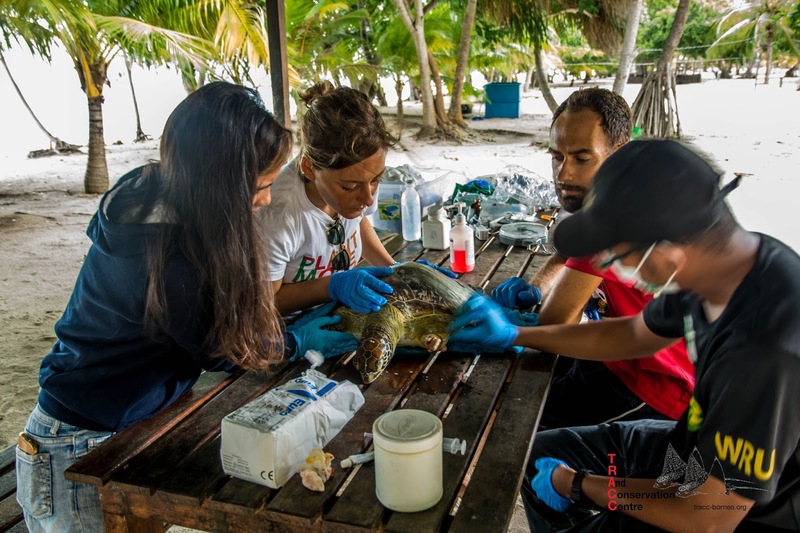 The plastic debris can kill the turtle by obstructing the oesophagus. Also large amounts of plastic have been found in the stomachs of whales. 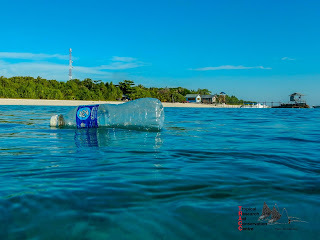 Plastic is forever and there is no way to dispose of it, you can’t make it go away. Every bit of plastic that has ever been produced still exists in some sort of form. Plastic is a material that the earth cannot digest. 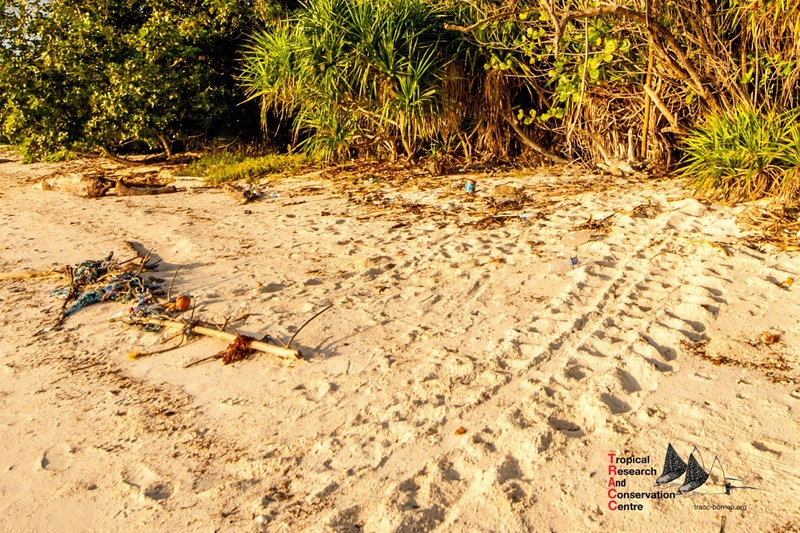 Pom Pom island is a beautiful tropical paradise but also here the shore line is littered with plastic. Every day more plastic washes up on the otherwise pristine beach. At TRACC we regularly conduct reef and beach cleans which is targeting the plastic already impacting the local environment. But we all can do something in the fight to save our planet by simply reducing the amount of plastic we use and reducing our plastic footprint. We need a wave of change and choose plastic free and reusable products instead. 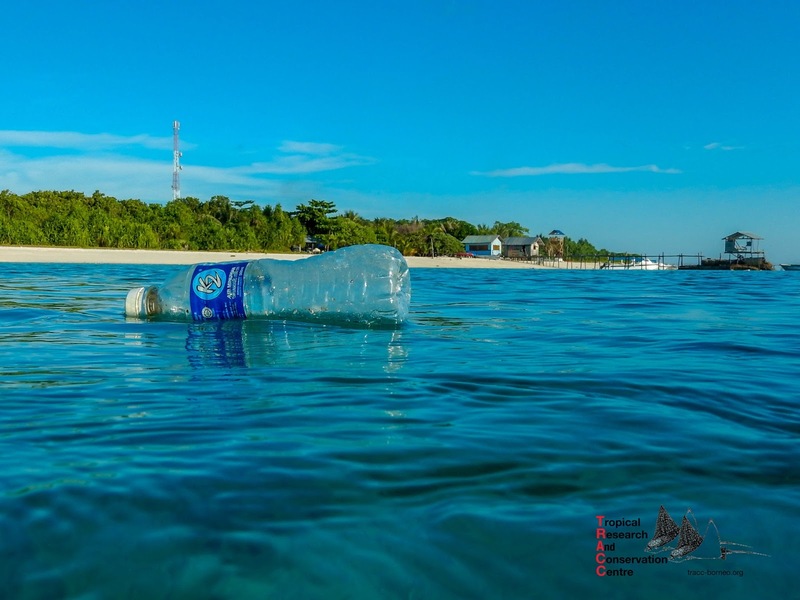 We can turn the tide on plastic together, we all need to reduce, reuse and recycle! On Sunday we observed first-hand the effects of human carelessness as we spotted a turtle in distress, entangled in fishing line and attached to a mooring line and plastic bottle. We were able to free the turtle and it was taken into care. On Monday 2 vets from the Wildlife Rescue Unit arrived from Sandakan and treated the turtle for dehydration, administered antibiotics and performed surgery to remove the protruding bone. 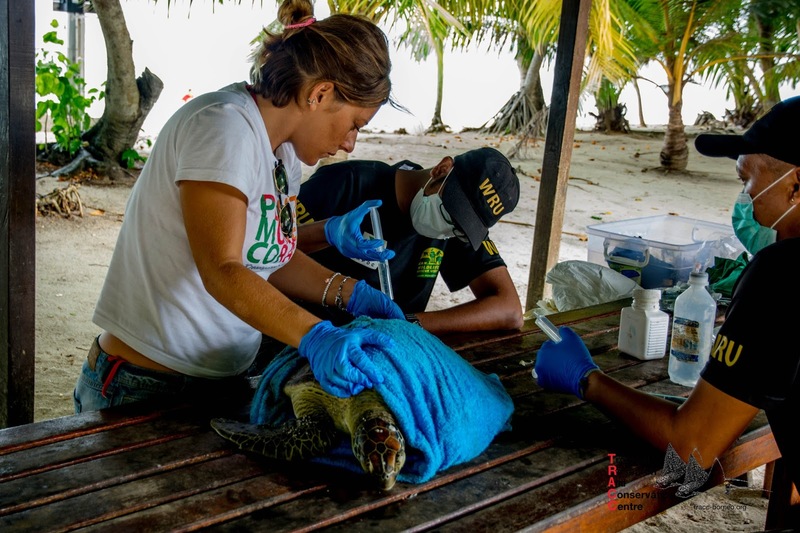 It is now a waiting game to see how the turtle recovers and it will require extensive rehabilitation as it lost its left front flipper. 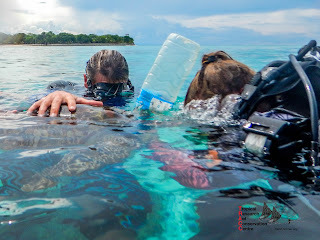 Exploring a whole new world through scuba diving.